I had an interview with Hermit, the creator of SID-Wizard. Recently I translated the manuals of the tool into Japanese. He often uses the word “flexibility” about his tracker. But I think it is also worthy of his limitless lucid intelligence. (Akaobi) Hi, Hermit! Thanks for taking the time for this interview. Please introduce yourself briefly for us. (Hermit) Hi, Akaobi. I’m Mihaly Horvath from Hungary. Thanks for the opportunity \o/. When and where did you get to know the demoscene? Tell us groups, sceners, and products have become motivation for your creation. I got my C64 in the late 90’s but I sold it in ca. 2002, and until 2008 I was not aware about this huge fan-base of it. When I got back my C64 in 2008 (thanks to finding out it has an analog-synthesizer sound-chip) and started using the internet it was a surprise for me to see people still making awesome productions for our beloved machine. I got some (especially Hungarian) demos from friends on floppies before, my favourites were Revolution from Chorus and Mergezo Anyag 3 from Profik made in the middle nineties. Before SID-Wizard once you coded 3SID tracker. I think SID has an important place in your life undoubtedly. What is rational reason not only you compose music with the chip, but code tools for the chip? Fortunately many SID trackers are developed even today after C64 turned 30, e.g. SDI, GoatTracker, CheeseCutter, CRD-Tracker and Hein’s one (besides, defMON?). How different is the direction of development of SID-Wizard from those trackers? 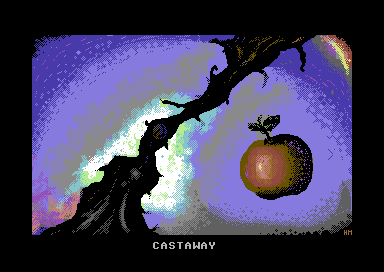 What are peculiarity of SID-Wizard you call a comprehensive native C64 tool? Can I ask you about music tracker? In Japan there are musicians who use Milky Tracker, MODPlug Tracker, or Renoise though the number of them is much smaller than euro. Also it must be mentioned LSDj by Mathman has been used for a long time by Japanese. But tracker is still unknown and mysterious tool for us IMO. You made tunes with FastTracker 2. What are the merit of tracker as music editor? And How do you think Music Macro Language (MML)? MML is a popular composing method since 8-bit era in Japan. This tendency gets no weak (cf. NES Sound Driver & Library, mck, MMLTalks or MMLshare). Yes, I got familiar with trackers by FT2 on my first 386 machine, not on the C64. Essentially there are some flexibility aspects of the FT-like trackers, that are behind the C64 trackers. For example the lack of standardized analog synthesis and corresponding effects, or the lack of orderlist for each tracks that so requires many pattern copy/paste tasks and causes memory-hungriness, compared to C64. Perhaps many of users who are unfamiliar with trackers or native C64 tools will be bewildered at lots of shortcut keys. Could you give these people some advice? Well, average users got used to the mouse quite a while ago, so I understand that it’s strange at 1st glance. You mention and emphasize repeatedly SID-Wizard is an open-source project. It takes over some features from another trackers like GoatTracker or SDI. In the demoscene it is not uncommon third-person corrects and polishes tools he prefers. I remember SoundMonitor, DMC, JCH editor, and so on. Crack is also a (re)product of adjustment in the demoscene. What do you think this tradition? As an opensource-hearted guy (especially since I switched to Linux) I prefer all kinds of cooperation/refactoring. Everyone sees a problem from a bit different aspects. That’s why user feedbacks are very important for me, they kinda write the program along with me when they give ideas that I’d never have myself. Developers should be careful with open source projects though. If a project is in more hands I think it’s really important to have a strong base-code and a more-or-less common purpose. Otherwise the project can become amorphous. On my side I solved it by first developing an 1.0 stable version then made it available for centralized open-source development. It requires people a strong determination to join to a promising project. In SID-Wizard I try to make it easier by documenting the source-code effectively with remarks, flowchart and source-file dependency graph. How do you imagine the future of SID music? Last year the progress of 2SID remained impression to me. I think Conrad’s 2SID music collection “SID Dualux” is a great achievement for the C64 scene. And 2SID version of the SDI player seems good. Through reading TODO.txt, I know you are planning 2SID version of SID-Wizard. Besides, I would like to know if digi is an important potential of SID to you. I like stereo SID pieces, but my main problem with them is that they’re not created in a standard way – there was no centralized agreement about which memory address to use and whether 2SID should be stereo- or mono-oriented. You always have to set your tools *e.g. VICE) to play different 2SID tunes correctly and you might get bad votes at CSDb if someone can’t set these exactly to fit your tune and hears strange output. The issue is even harder on real hardware where you don’t have a simple menu to select the address of the 2nd SID. 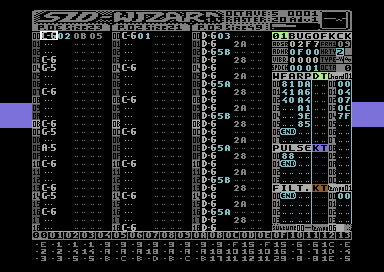 Yes, I plan a 2SID support in SID-Wizard but it would require more memory and rastertime and that would limit the maximum amount of patterns, instrument, etc. So if that happens in the near future it will be a distinct executable dedicated for 2SID operation. A question about distribution. 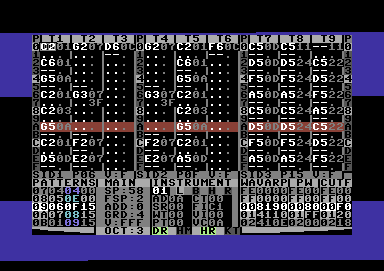 After the release of GoatTracker some use C64 music tracker outside the C64 scene. They release their new tunes on SoundCloud or Chipmuisc.org, or sometimes I met tunes not in High Voltage SID Collection (HVSC) at YouTube. How do you think your tools are used outside the C64 scene? Could you tell us the old and new Hungary scene from your point of view? I know nice Hungarian musicians, so I am interested in a really want to know about the Magyar scene. As I said I wasn’t into the scene in the old times but from some multimedia-sources (like Arok Party webpage) and productions I found out it must have been a very pleasant experience to attend a party. Times changed but some major faces are still active and nowadays 100..200 people attend to Hungarian demo-parties according to my short experience. In my hometown Debrecen the scene was active in the past from what I’ve heard but nowadays there are no such events unfortunately. But with some fellow sceners we arranged a demo-watching event last year and hope to be able to arrange it this year as well. If only 10..20 people will attend it is worth the effort. You are a member of SIDrip Alliance, a music group based in Hungary. Could you tell us what nice guys they are? Yeah, they’re good guys in all sense. I could experience a real teamwork in this group that never before. And they’re good and determined musicians and studio experts too so I’m happy in SIDrip Alliance. I am very interested that you have not used C64 only because of nostalgia. You have a doubt on development of “modern” computer. There are many retro PC lovers in Japan, but few mention air-pollution like you… It is a brilliant news that you plan for your solution to problems is in preparation. I think your opinion of today’s computers should be known by more people. Please tell us a little about your FPGA project. What I experience with PCs is that many of them are more complicated than they should be, ‘thanks’ to the pace the industry dictates. It seems for me that engineers doesn’t have the time to rethink, arrange and simplify everything from bottom-up to improve efficiency of the devices…they make good workarounds though, for instance my Mac Mini 2011 has only 10..20W power consumption on paper. Some measures however tell that the global CO2 emission caused by computers is pretty small compared to cars/factories so it’s far from being the main cause of global warming (btw. we should take overpopulation and release-cycle growth of computers into consideration when thinking about this fact). But on the other hand a desktop PC should be really fast and do the most common daily tasks in an instant (“13 dwarfs” they say). Everyone deserves this, especially after paying a bunch of money for a device. That’s achievable by enhancing efficiency of the software (see KolibriOS for example) or even the hardware. Today’s quality requirements require faster CPU speed and what most people – even many programmers – don’t know is that the capacitive DRAM bit-cells are still quite slow compared to the speed what CPU would be capable of. That’s why memories are aided by SRAM caching (which takes a very large part of the CPU chip surface) and pipelining, whatever. If multitasking comes into picture this solution is very ineffective I guess. One solution could be to invent a faster and still big-enough RAM, so the CPU could work as fast as it’s supposed to. But the real solution to this is the parallel operation where many CPU-RAM pairs can work in a cluster in parallel. Nowadays FPGA/ASIC is a good platform to experiment with parallelism in several hundred MHz clock frequencies. So there’s no real physical constraint but people find the programming of really parallel cores a challenge. There are constant researches into this direction. The other good aspect of the parallel technology is the lack of overclocking and less dissipated heat. I think I told too much about it considering it’s an interview not an article, so I’ll won’t go deeper into the topic right now. Fortunately I found out a good existing hardware+software combination to have a reliable machine for studio-recording: A MacMini 2011 (which is silent and consumes small electricity) with OSX (containing Core Audio) + a Focusrite PRO firewire sound-module + Reaper (which is a small but very user-friendly and comprehensive DAW). Always I am amazed at your wide range of music (I am fond of your recent release Magyar Népzenék). I think Mirage I, II, and III, your music collections released in 1998, echoed through your diversity of composing styles. And I never imagined there were a scener talked about Samuel Adler and Arnold Schönberg. What is a music theory for you? 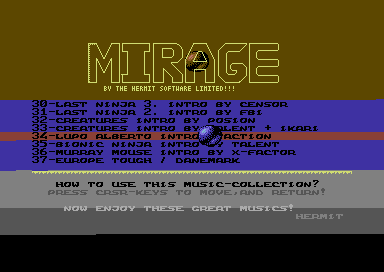 I hope there’s no misunderstanding, Mirage tunes were not mine, just a few early and very annoying ‘tunes’ were mine on the disk…tunes in these music collections were ripped from intros and games I had on my floppy disks at that time coz I liked to listen them very much while doing my homework. On chiptune or chip music. WitchMaster uses the word chiptune in his manual, but I think the word began being used is relatively recent in the C64 scene. We can say Jeroen Tel is one of the originators of chip music, however, it seems he keeps a distant from that scene(s). Have you got inspiration from chiptune or chip music? Afaik Rob Hubbard was one of the 1st people who utilized (programmed and composed for) the SID chip as it deserves. Jeroen Tel and all these early C64 composers were inventors of their own styles as well as good technical experts. I don’t know whether the ‘chip-music’ appellation was used in the old times or not, so I can’t distinguish old and new tunes in this regard. I was inspired by SID music I listened not only for SID-composing but for live-instrument based composing too. Chip tunes affected and have formulated my composing style very much, but I still have to learn a lot about composing to get more conscious in making music. You are a coder, a musician, and a graphician. Recently you released HermIRES, a cross-platform graphics editor. What is “graphics” for you? When I was a child around age 10 I wanted to be a painter for some years. I was lucky enough to be introduced to drawing/painting by my father who won some competitions in the past with his drawing when he was a child, and who illustrated book-cover, etc.. I attended to lectures in elementary school where I met with other graphical techniques (pastel, ‘smalto a fuoco’ and lino-line-engraving), and even won a school-competition with one of my pieces. And again, thanks for the opportunity, It’s really a pleasure to be interviewed by someone from Japan. I wish you all the best from Hungary! You, too! Best regards from Japan. Many thanks for your kindness and support.